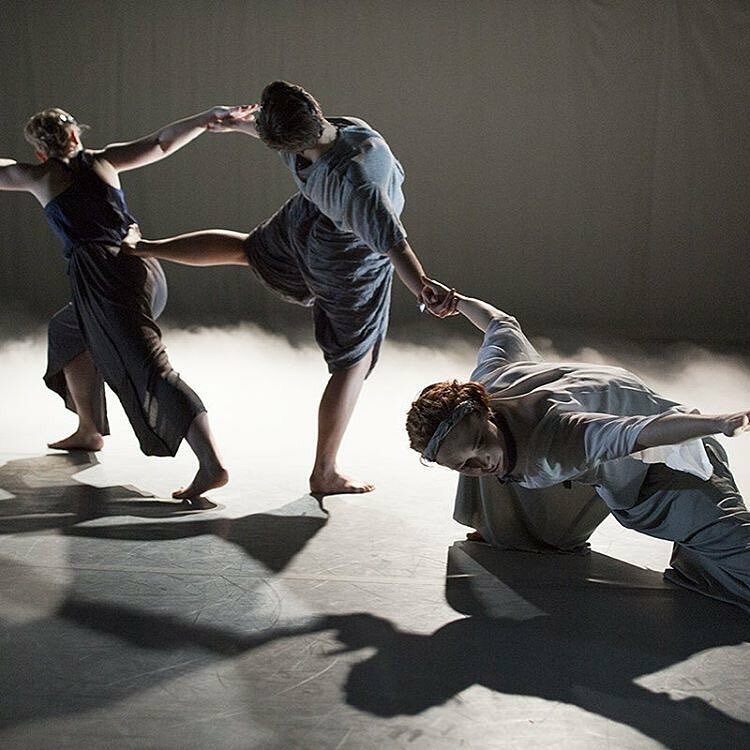 In this stream-of-consciousness piece, Renee Boehlke, local choreographer and director, reflects on the process of her Bridge Project piece, Sunken Cities, performed at Velocity Dance Center on January 26th – 29th, 2017. The Bridge Project offers four choreographers up to 45 hours of rehearsal space in which to create and perform a new work in four weeks. During this time Velocity also provides a costume stipend, and an audition for each choreographer’s cast. This project allows incoming artists an opportunity to enhance their work, and also provides a point of entry into the flowering dance scene in Seattle. Sunken Cities began, before it had its name, with ideas about a layered, poetic perception: How something can be more than one way simultaneously and without contradiction, if only you imagine it. People seeing the same place differently. Places that unfold their truths over time. A multivalent reality. Then it seemed to evoke something ancient, something ritualistic. Ruins. Lost knowledge. Answers just beneath the surface. It started to be our own imagined mythology, with its edges blurred as if eroded by time and retelling. Characters and strands of story formed in negative spaces. We let them be. The world of this piece was experienced first through movement, but those movements revealed logic sometimes compositional and sometimes narrative. I needed the myth. Fiction is realer than real life— In fiction we see our hopes, fears, failures, and desires play out in a way that we can recognize and reckon with. Before we understand with science, we understand with story. We make gods in our own image and watch them relive our questions in epic scale. In the end, it was about the search. Despite the tools we have and all we’ve learned, we repeat history no less than ever before. We discover, create, adapt, destroy, and decay, and still we try to find another reality, relentlessly. When we dance, we feel that there is more to this life than what we first see, distant as it may be. We eagerly go towards the unknown. There will not be answers. But there is everything in between. The musical score was created live. I would sit on the side of the room twice a week watching the choreography being formed in front of me and experiment with sounds that supported the piece’s story. I had complete freedom in choosing the musical material. My preferred technique is to mimic sounds that occur in nature, and showcase the natural pitches and acoustics of the violin. Those include bowing variations to produce natural harmonics (creating soft and extremely high pitches), using the wood of the bow to create a non-musical sound (like metallic screeches or zippers), and making sounds like ocean waves using the bridge (which holds up the strings). Working on costumes for Sunken Cities was a journey, from buying the first piece to sewing the last seam on a finished garment. One of the first thoughts I had was to make a flowing jumper. But as we started to buy clothes from thrift shops and fast fashion stores, three very unique looks came about, though all in the same color scheme. I worked with each dancer to find which clothes would fit her best and flattered her. Then we started tearing them apart and making something new with each. Weekly, I made sure my ideas translated well to the dance and with Renee’s vision. In the end I knew as long as I was happy with the process I would end up with a product we would both be satisfied with. I did get one jumper made from a skirt, as well as pants made from a scarf, and a skirt made into pants. Costumes were always transformed. In changing something simple to better accommodate the dancer, I ended up liking the costume all the better for it. Working with Renee and her dancers was overall a collaborative experience.